The tastiest cookbook this season? 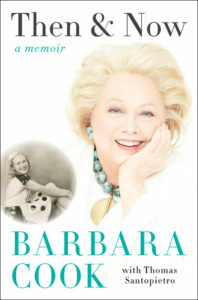 Make that Cook book, as in Barbara Cook’s autobiography Then and Now: A Memoir (Harper, $28.99). The 88-year-old icon shares her life and career, the highs and lows, some of which are quite painful to read. 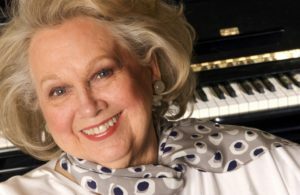 There are warm memories of her golden years as Broadway’s newest ingénue and Broadway’s favorite soprano in the original productions of Plain and Fancy (1955), Candide (1956), The Music Man (1957) and She Loves Me (1963) and later into a sophisticated cabaret and concert artist . . . as well as much sadder, deeply painful memories. 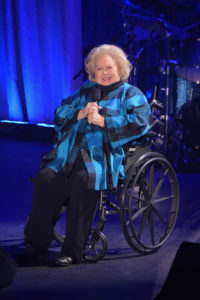 Today, Cook suffers from polymyalgia rheumatica, a disease that forces her to use a wheelchair. She may be slower, her voice much softer, but she refuses to give in. As a recovering alcoholic she still attends her AA meetings. (She quit drinking in 1977.) For that we continue to applaud her. We caught up with Cook one summer afternoon at her Upper West Side apartment and had a lovely conversation, fraught with lots of coughing and short sentences, of the good and bad and both acts—before and after sobriety—of her life. Read her story, and enjoy performances we share. First things first: You have been asked to write a book for years. Why did you finally write an autobiography? Yes, people have wanted me to write a book for some time. I kept saying, ‘Why? Who the hell cares?’ Then it occurred to me that I have had this up and down life, and if someone reads my book with an open mind he or she can come back from dark places and have a successful career. I wrote every word, mostly by hand, on white-lined paper. No wonder we didn’t like your mother after reading the book. She blamed you, as a child, for your sister’s death! Yes. My sister had pneumonia, and then I got pneumonia and whooping cough. I gave her whooping cough on top of the pneumonia. (Pauses) When I was in therapy, my first therapist said something that was so smart ‘Did it ever occur to you that she caught it and that you didn’t give it to her?’ Wow. That really helped me because I grew up thinking I was responsible for my sister’s death. I started to think, well, if my sister hadn’t died father wouldn’t have left. I was five. (Pauses, quietly) I became responsible for my sister’s death and his leaving as well. When I interviewed Liza Minnelli, she told me even recovering alcoholics must always refer themselves as alcoholics. Did Liza break rules by talking about AA? AA does not have rules. It has suggestions. They don’t call them rules. I supposed one can break one’s own anonymity which I don’t do. What did you think went wrong with Liza? I know Liza and have sat around talking with her. But I don’t think I know her well enough to talk about that. It’s sad seeing you in a wheelchair. Do you believe you will get out of that chair one day? Well I guess if the condition gets good I will. My spirits are mostly okay, but nobody likes to be like this. There are days when I get down, but I don’t seem to stay down for long. Many of your fans are gay. Your only child, Adam LeGrant, is gay. You and I are talking less than a month after the tragic massacre at a gay nightclub in Orlando. When I say ‘homophobia’ . . .
(Interrupts) It affects me like everyone else. Homophobia is a stupid, horrible way of thinking. It’s getting better, but it’s still, oh God! awful. Were you disappointed when you learned your son Adam was gay? I asked Liza about why she has such a gay following. She told me her fans relate to her pain, just as they related to her mother’s pain. You are aware you have a large gay following? Oh sure. I talked about it with friends a couple of times. But I don’t know what it’s about. Could I be they relate to my problems? Who knows? We all have problems. You made your Broadway debut in the 1951 musical Flahooley; you won a Tony for The Music Man. A far cry from growing up in Atlanta in such poverty you used to eat dinners of white bread and ketchup. You are a legend! A special survivor! (Long laugh ) Oh God, I don’t think of it as way. We all think we’re special. I know I am very, very grateful of the gift I have given. Singing is a wonderful way to move and touch people. I feel that I must sing because it feels so good to get all that out! I suppose it’s a gift from a higher power. I have a dining room and it’s kept in a bookcase in there. After reading your book, I still cannot figure out if you liked Elaine Stritch. (Laughs) I liked her, but not always what she did. Her behavior sometimes. Somewhere inside her was a very nice person. I am going to push you in a corner. What’s your favorite song? (Laughs) Oh my goodness! The answer is no. I have no favorite. How about a song you never sang? I don’t think of things that way; I think of shows I wished I had done. I wanted to do The Most Happy Fella. I auditioned again and again for that and I really wanted to do it. But if I had done that, I wouldn’t have been able to do Candide. You will be 89 on October 25. Ever think how you want to be remembered? What will be on your gravestone? Oh gee. Wow. No one ever asked me that. (Pauses) SHE DID HER BEST. It’s a game cinephiles hate to play, lost and found, with the emphasis on lost. Yet films thought to be lost have been found . . . and some lost films remain lost. 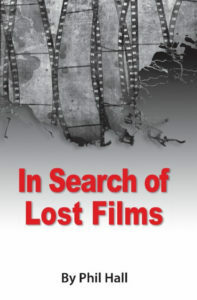 We found In Search of Lost Films (BearManor Media, $29.95/$19/95), a new book that investigates how an extraordinary number of important films are believed to be lost forever. Martin Scorsese‘s Film Foundation claims that “half of all American films made before 1950 and over 90% of films made before 1929 are lost forever.” Deutsche Kinemathek estimates that 80-90% of silent films are gone; the film archive’s own list contains over 3500 lost films. A study by the Library of Congress states that 75% of all silent films are now lost. An interesting note: No prints of Nobody Ordered Love (1972) exist; director Robert Hartford-Davis ordered all prints to be destroyed upon the his death. This film is on the BFI 75 Most Wanted list. Theda Bara made more than 40 films between 1914 and 1926, but most were lost in the 1937 Fox vault fire. One was “Cleopatra” 1917); only 20 seconds exist. How could this happen? And is it possible to recover these missing gems? In this new book, noted film critic and journalist Phil Hall details circumstances that resulted in these productions being erased from view. For anyone with a passion for the big screen, In Search of Lost Films provides an unforgettable consideration of a cultural tragedy.Spanning from the early days of the silent movies to as late as the ’70s and touching all corners of the global film experience, groundbreaking works of significant historical and artistic importance are gone. Cinema icons including Orson Welles, Stanley Kubrick, Alfred Hitchcock, Oscar Micheaux and Vincente Minnelli are among those impacted by this tragedy, and pioneering technological achievements in color cinematography, sound film technology, animation and widescreen projection are among the lost treasures. 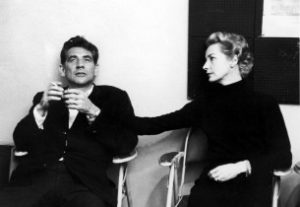 Olive Films continues its tradition of releasing lost, little-known films . . . even films that have had DVD life, but are resurrected through 4Ks scan of original camera negatives and crammed with essentials extras. The next titles to be included in Olive Signature, a new series of DVD & Blu-ray releases offering deluxe editions of time-honored classics, fan favorites and under-appreciated gems from the Olive catalog. Olive Signature titles feature pristine audio and video presentation and an abundance of bonus material that will delight fans, collectors, and cinephiles. They continue the series with two distinct, but beloved classics. Save the release date: October 25. Sean Thornton (portrayed by John Wayne), an American boxer with a tragic past, returns to the Irish town of his youth. There, he purchases his childhood home and falls in love with the fiery local lass, Mary Kate Danaher (the lovely Maureen O’Hara). But Kate’s insistence that Sean conduct his courtship in a proper Irish manner with matchmaker Michaleen Oge Flynn (Barry Fitzgerald) along for the ride as chaperone is but one obstacle to their future together; the other is her brother, “Red” Danaher (Victor McLaglen), who spitefully refuses to give his consent to their marriage, or to honor the tradition of paying a dowry to the husband. Sean couldn’t care less about dowries or any other tradition that might stand in the way of his happiness. But when Mary Kate accuses him of being a coward, Sean is finally ready to take matters into his own hands. 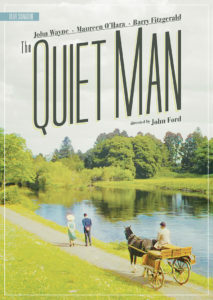 The Quiet Man would go on to win two Academy Awards in 1953, including Best Director (John Ford) and Best Cinematography and received five more nominations including Best Picture, Best Screenplay and Best Supporting Actor (McLaglen). Adventure is the name of the game in this action-packed, western-tinged adventure. Clint Walker stars as “Big Jim” Cole, a former lawman who trades his badge for rancher duds when he inherits land in Wyoming. But no sooner has the Cole family begun settling into their new life when nature—in the form of a blood-thirsty grizzly bearrears its ugly head. Adding to the terror and tension are a group of envious neighbors who want the Cole property for themselves, and the unwelcome return of an outlaw from Big Jim’s past who’s out for revenge. 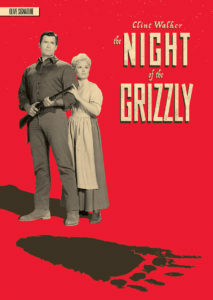 Directed by Joseph Pevney, The Night of the Grizzly features a who’s-who of great character actors including Keenan Wynn, Jack Elam, Leo Gordon and Ron Ely. The truth is always louder than mere words. Witness Louder Than Bombs (Sony Pictures Home Entertainment), a riveting film in which a war photographer’s mysterious death is revealed. Academy Award nominee Jesse Eisenberg, Gabriel Byrne and newcomer Devin Druid star as family members coming to terms with conflicting memories and new revelations about the life and passing of their mother and wife, a renowned photographer played by Isabelle Huppert. 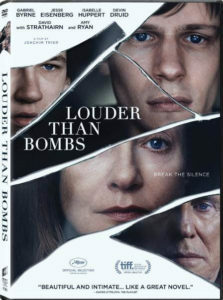 Directed by acclaimed Norwegian filmmaker Joachim Trier and co-starring Oscar nominees Amy Ryan and David Strathairn, Louder Than Bombs was an Official Selection at the Cannes Film Festival (2015), where it was nominated for the prestigious Palme d’Or. Released theatrically by The Orchard earlier this year, the film arrives on DVD with director’s commentary, a behind-the-scenes featurette and photo gallery. An arrow we don’t mind aiming right at us: The thrilling CW series Arrow. 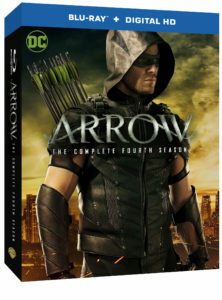 Viewers can catch up with the show as Warner Bros. Home Entertainment releases Arrow: The Complete Fourth Season on Blu-ray including Digital HD and DVD on August 30. The show is so popular that it averages four million viewers weekly for each original episode; Arrow is The CW’s No. 3 show among Total Viewers, behind The Flash and DC’s Legends of Tomorrow, and the No. 2 series on The CW among adults ages 18-34. Yep, this Arrow hits its target every time. The box set contains all 23 exhilarating episodes from the fourth season, as well as The Flash crossover episode; plus more than an hour-and-a-half of extra content, including the 2015 Comic-Con Panel, never-before-seen featurettes, deleted scenes and a gag reel. To catch up: After defeating his most formidable foe to date and riding off into the sunset with longtime flame Felicity Smoak, Oliver Queen (aka The Arrow) left Star City with the hopes of beginning a new life. But will Oliver ever truly be able to leave behind his past as The Arrow, and, if so, what becomes of the team he has worked so hard to assemble? Will military vet John Diggle, Oliver’s sister Thea Queen, and lawyer-turned-vigilante Laurel Lance continue Oliver’s fight without him? And with Malcolm Merlyn having ascended to the top of the League of Assassins as the new Ra’s al Ghul, is anyone really safe? 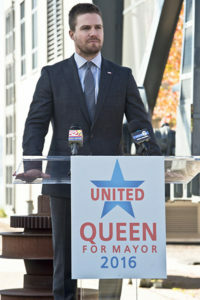 Arrow, based on the characters from DC Comics, stars Stephen Amell, Katie Cassidy, David Ramsey, Willa Holland and Emily Bett Rickards, with John Barrowman and Paul Blackthorne. Amell never tires of the role or show. No kidding around. No one, nothing, did violence on the small screen as well (and bloody) as Cinemax’s Banshee. Die-hard fans—so die-hard they are called “Fanshees”—went into deep mourning when they learned the Emmy-winning action-packed series (ex-con assumes the identity of a small-town Pennsylvania sheriff deep in Amish country)—would be coming to an end. 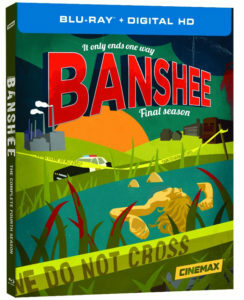 Created by Tropper and David Schickler, Banshee charts the final twists and turns that follow Lucas Hood, an ex-convict who assumed the identity of sheriff in the Amish-area town Banshee, where his former lover and partner-in-crime was living under her own alias, Carrie Hopewell. The final season takes place two years after Lucas gave up his badge after a bloody, multi-million-dollar heist at the Camp Genoa Marine Base which proved costly: Carrie’s husband Gordon was killed, and Lucas’s longtime computer-hacker partner, Job, was abducted by a shady criminal ring. After settling a score with a “recruiter” from Lucas’s past whom he hoped would have intel on Job, Lucas went on a bender before being rescued by an unlikely savior, Proctor’s niece. Emerging from a self-imposed exile, Lucas returns to Banshee to find it a changed town. Brock Lotus is now sheriff, Kai Proctor is the mayor, and the old “Cadi” police station has been replaced by a state-of the-art facility. A new deputy with ties to Proctor, Nina Cruz, has joined Brock’s team, along with Kurt Bunker, the skinhead-turned-deputy who continues to make amends for his dark past while fighting the racist overtures of the group led by his younger brother Calvin. After reuniting with Carrie, their daughter Deva, and ex-boxer Sugar Bates, Lucas becomes immersed in a new Banshee crisis: rooting out a vicious serial murderer whose latest victim is someone near and dear to his heart. IFC Films offers an August filled with a trio of must-see, must-own films. In the span of 11 tense minutes, a whirlwind of interlocking tales of life in the surveillance age unfold in this stylish, propulsive thriller from acclaimed director Jerzy Skolimowski. In a city square in Warsaw, a sleazy film director “auditions” a married actress in a hotel room; a hot dog vendor goes about his work while concealing a dark secret; a drug runner has a tryst with a client’s wife; and a young man plots an ill-advised robbery. Mixing sleek cinematography with footage from webcam, smartphone and CCTV cameras, 11 Minutes masterfully lays out the pieces of a puzzle and then brings them together in an explosive climax. In this captivating, star-filled road movie, a French woman finds liberation in the dusty highways, open spaces and smoky barrooms of the great American West. Diane Kruger stars as Romy, a Parisian who, while on vacation in California, breaks things off once and for all with her boorish husband (Gilles Lellouche) in a dramatic final fight. 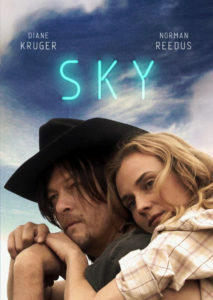 Now a free woman in a strange land, Romy embarks on a life-changing trip through the desert, crossing paths with strangers who impact her life in various ways: a kindly small-town police officer (Joshua Jackson), a pregnant, trailer park-dwelling mother (Lena Dunham) and a charming, ruggedly independent cowboy (Norman Reedus), with whom she finds the possibility of new love. Beautifully capturing the landscapes and soul of the Southwest, Sky, an IFC Films theatrical release and an official selection at the Toronto International Film Festival, is a stirring emotional odyssey about what it means to start your life over again. Anthony Weiner was a young congressman on the cusp of higher office when a sexting scandal forced a humiliating resignation. Just two years later, he ran for mayor of New York, betting that his ideas would trump his indiscretions. 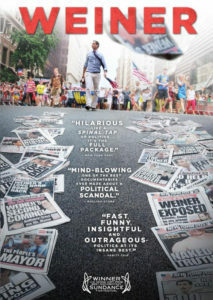 With unprecedented access to Weiner, his family and his campaign team, the universally acclaimed flick is a thrilling look inside a political comeback-turned-meltdown. What begins as an unprecedented surge to the top of the polls takes a sharp turn once Weiner is forced to admit to new sexting allegations. He desperately tries to forge ahead, but the increasing pressure and crippling 24-hour news coverage halt his political aspirations. With the city of New York as a loud and bustling backdrop, Weiner walks the line between political farce and personal tragedy as it plunges through an increasingly baffling campaign with unflinching clarity, humor and pathos. The IFC Films theatrical release won the U.S. Grand Jury Prize for documentary at the Sundance Film Festival. August continues to bring daze, and as the big-budget summer blockbusters begin their annual invasion, those who have no interest in the usual explosive entertainment should look to IndiePix Unlimited, the signature subscription streaming service from IndiePix Films. Counter-programming of the highest order, they’ve carefully curated the “5 Must-See Films of Summer,” suitable for binge-watching indoors or anchoring your own festival. Highlighted by the all-new digital release Mouton, a compelling French language drama which captured both a Special Jury Prize and Best First Film (from directors Gilles Deroo and Marianne Pistone) at the prestigious Locarno Film Festival; the essential must see films also include the world cinema festival favorites The Winter (Greece), Crumbs(Ethiopia) and Samson & Delilah (Australia) and Ondi Timoner’s Sundance Grand Jury Prize-winning doc, We Live in Public. Called “the independent film champion” by TechHive.com, consumers interested in programming their own film festival with IndiePix Unlimited and “5 Must-See Films of Summer” can simply visit indiepix-unlimited.tumblr.com/ and sign up for access to these cinematic gems, as well as a highly-curated catalog of 400+ acclaimed world cinema classics, short films, documentaries and more. For $5.99 per month (with the first month free!) IndiePix Unlimited offers movie lovers the opportunity to watch Indiepix’s deep, award-winning catalog anywhere and anytime through any platform . . . whether tethered to a desktop or out and about on an iPhone, tablet or Android device. With free apps supporting both iOS and Android devices, subscribers need only to sign up on the secure site for immediate 24/7 access. 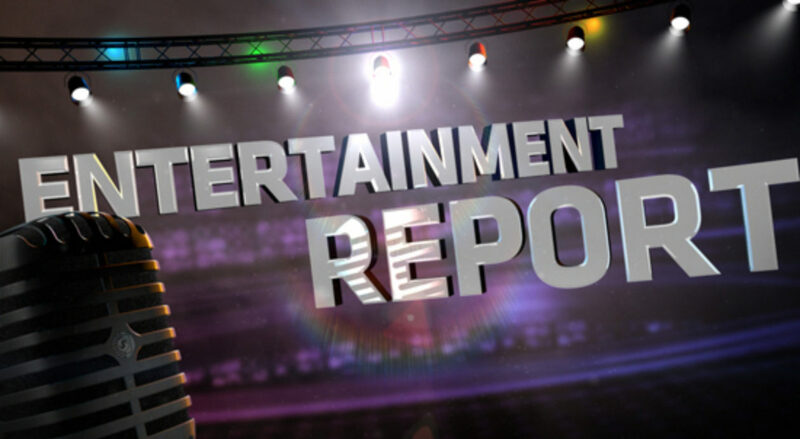 Before you start logging in, let us give you a little more movie maven info about each of the must-see flicks. Mouton (France) Directors Gilles Deroo and Marianne Pistone borrowed from the cinema-verité handbook with their feature film debut, a highly original drama that follows cheerful 17 year-old, Aurélien Bouvier, also known as Mouton (Sheep). 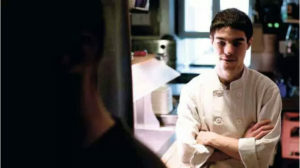 He works in the kitchen of the local seafood restaurant in the little town of Courseulles-sur-Mer on the Normandy coast and enjoys a simple life filled with work friendship and love. But when Mouton suffers a bizarre accident with a chainsaw during the Fête de la Sainte-Anne, the film’s focus turns to those left behind in a drama about which Variety loved the film, gushing: “Films that truly surprise are the rarest of the rare and Mouton‘s originality and intriguing docu-style approach make it impossible to dismiss as just another arty experiment”. The Winter (Greece) The dazzling feature debut of talented VFX artist Konstantinos Koutsoliotas, this is the story of an impoverished writer, Niko (Theo Albanis) who leaves London for his family home in the Greek mountain town of Siatista. Upon arriving, he discovers the home has been abandoned and is now haunted by the ghosts of the past. Working to retain his grasp on reality, Niko sets about to uncover the mystery of his father’s death in this poignant, fantastical drama blended with a touch of magical realism and influenced by the works of Poe and Lovecraft. It was nominated for a Méliès d’Argent Best Fantastic Feature Film at 2015 Imagine: Amsterdam Fantastic Film Festival. Crumbs (Ethiopia) Called “outlandish and imaginative” by The Hollywood Reporter and “an instant classic” by Movie City News.com, this film is a post-apocalyptic, surrealist science-fiction romance. 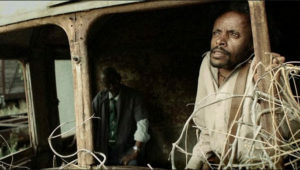 Set against the background of spectacular Ethiopian landscapes, the film finds a strange-looking scrap collector, Gagano (played by the charismatic Daniel Tadesse). Alternately gripped by daydreams and constant fears, the diminutive Gagano has had enough of collecting the priceless crumbs of decayed civilization, including the most valuable: merchandise from Michael Jackson and Michael Jordan. When a spaceship that has been hovering high in the sky for years starts showing signs of activity, Gagano has to overcome his fears–as well as a witch, Santa Claus and second-generation Nazis–to discover things aren’t quite the way he thought. After its World Premiere in the Bright Futures section at the Rotterdam International Film Festival, followed by EFM in Berlin, Crumbs captured a special Nightfall Jury Mention at the 2015 Los Angeles Film Festival, and the New Flesh Award for Best First Feature Film at Montreal’s 19th Annual Fantasia International Film Festival. Samson & Delilah (Australia) Best described as a “survival love story”, Australia’s official Oscar submission from 2009 and winner of the Caméra d’Or at Cannes for Best First Film, follows cheeky, aimless Samson (Rowan McNamara, in his big screen debut) and Delilah (Marissa Gibson), two indigenous 14 year-olds living in a isolated Aboriginal community in the desert of Central Australia. Among a tiny collection of houses, day in and day out, nothing changes and no one seems to care. However, when tragedy strikes, the duo are branded as outcasts and they turn their backs on home and embark for distant Alice Springs on a grueling road trip. Subjecting the wayward couple to extreme poverty, addiction and hunger, their journey of self-discovery helps them discover that while life isn’t always fair, love never judges. Based on director Warwick Thornton’s personal experiences, Samson & Delilah was an international smash, capturing 7 Australian Film Institute Awards, as well as Best Feature Film at the 2009 Asia Pacific Awards, Best Film at the Amazonas Film Festival in Brazil and the Grand Jury Prize for Best Film at the St. Tropez Film Festival in France. We Live in Public (USA) Ten years in the making and culled from 5,000 hours of footage, We Live in Public reveals the effect the web is having on our society, as seen through the eyes of “the greatest Internet pioneer you’ve never heard of”, artist, futurist and visionary Josh Harris. documented his tumultuous life for more than a decade to create a riveting, cautionary tale of what to expect as the virtual world inevitably takes control of our lives. Whether you’re interested in binge-watching the 5 Must-See Films of Summer or creating your own queue filled with acclaimed cinema, don’t miss out on a truly unique, engaging and watercooler-worthy viewing experience with the IndiePix Unlimited! On the road again? 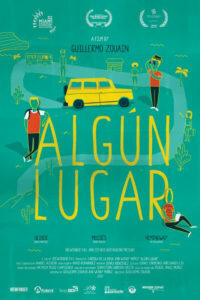 This summer join IndiePix Films for a journey to the Dominican tropics for On the Road, Somewhere (Algun Lugar), a poignant coming-of-age road trip drama. The feature debut of writer/director Guillermo Zouain will premiere exclusively on August 12 on IndiePix Unlimited, IndiePix Films’ streaming subscription service. Admit you may not have heard of him. Admit you always will after seeing the flick, so wonderful it was an Official Selection at numerous festivals including the Miami International Film Festival, the Chicago Latino Film Festival, Cine Las Americas and the International Film Festival of Panama. On the Road, Somewhere follows three high-school best friends, Oliver (portrayed by Arnold Martínez), Moises (Javier Grullón) and Hemingway (Victor Alfonso), on a summer road trip through the Dominican Republic–their last together before college. Oliver needs to arrive at all costs to the remote town of Pedernales to say goodbye to his high school sweetheart before she moves away to New York. Moises is documenting the trip as a last tribute to his love of photography before enrolling in a career in civil engineering. And Hemingway seeks to escape his oppressive family and become a writer in a society that despises authors. Along the way, the car breaks down frequently, leaving the three boys stranded with nearly every character under the Dominican sun: a Haitian hitchhiker, a famous photographer and an intriguing artist. And when these strangers trigger a series of adventures unexpectedly changing their travel plans, their celebratory journey may well become a final farewell. Nominated for Best Feature Film at the 2015 Miami International Film Festival and Top Indie Film Awards 2015, among numerous other accolades, On the Road, Somwhere will initially only be available on IndiePix Unlimited, which gives passionate cinephiles 24/7 access to a highly-curated catalog of cinematic gems from both international auteurs and visionary new voices alike. There, it joins other contemporary classics of world cinema including 2009 Cannes Camera D’Or winner, Samson & Delilah; Iranian artist Shirin Neshat’s feature-length debut; the Golden Lion-nominated Women Without Men and Noaz Deshe’s powerful White Shadow. For just $5.99 per month, those film and more than 400 others across all genres will be available on any device or platform through IndiePixUnlimited.com or apps available on iTunes or Google Play. 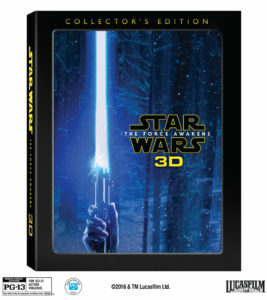 “Star Wars: The Force Awakens 3D Collector’s Edition” on Blu-ray and DVD: May the force be with you. It will happen, in a galaxy not so far, far away. It will happen in the Milky Way, right here on Earth. It will first happen on Halloween in Sweden and Holland . . . and happen in the United States and Canada on November 15. Save the date. This is important. Those are the dates Star Wars devotees will experience—up close and in eye-popping 3D—the highly-anticipated Star Wars: The Force Awakens 3D Collector’s Edition. May the force be with you. For the first time—and just in time for the holidays (make note! )—viewers can bring home Lucasfilm’s “Star Wars: The Force Awakens” in 3D, encased in stunning, collectible packaging. The exclusive four-disc 3D Collector’s Edition contains the original theatrical release on Blu-ray 3D, Blu-ray, Digital HD and DVD, along with originally released bonus features and brand-new bonus material, including additional deleted scenes, behind-the-scenes conversations with cast and crew and revealing, never-before released audio commentary by director J.J. Abrams. Yes, this is important news. Upon its debut last December, Star Wars: The Force Awakens received rave reviews from both critics and audiences, and shattered box office records with over $936 million domestic and $2 billion worldwide. The film has since been nominated for five Academy Awards and took home the BAFTA Award for Special Visual Effects. The Force Awakens re-ignited the Star Wars franchise and fans eagerly await the next installment, arriving in theaters December 2017, as well as the first in a series of standalone films, Rogue One: A Star Wars Story, premiering this December 16. Star Wars: The Force Awakens saw the eagerly anticipated reteaming of original Star Wars stars Harrison Ford, Carrie Fisher and Mark Hamill, along with Anthony Daniels (the only actor to have been in all seven Star Wars films) and Peter Mayhew. The returning cast was joined by newcomer Daisy Ridley, who beat out fierce competition to take the principal role of Rey; BAFTA Rising Star Award winner John Boyega as reluctant stormtrooper Finn; Emmy nominee Adam Driver as the villainous Kylo Ren, and Golden Globe winner Oscar Isaac as Resistance pilot Poe Dameron. Having established a musical legacy with his iconic scores for the previous six films in the Star Wars saga, acclaimed composer John Williams returned to score“Star Wars: The Force Awakens, ultimately garnering his 50th Oscar nomination for it. Nothing but music to our ears! Foley: A Sonic Tale Foley artists, consisting of old pros and new talent, unite to bring the world of Star Wars: The Force Awakens alive through the matching of sound to action. Sounds of the Resistance Hear how the epic sound design of Star Wars: The Force Awakens moves the Star Wars legacy forward. Deleted Scenes View never-before-shared scenes that didn’t make the film’s final cut. Dressing the Galaxy Costume Designer Michael Kaplan reveals how the costumes of the original Star Wars movies were re-envisioned for a new generation. Inside the Armory Take a fascinating tour through the design and creation of the weaponry in Star Wars: The Force Awakens. Classic Bonus Features These offerings from the April release of Star Wars: The Force Awakens, include the complete story behind the making of the film, an unforgettable cast table read, insights from legendary composer John Williams and deleted scenes, as well as features that dig deeper into the creation of new characters such as BB-8, the design of the climactic lightsaber battle between Rey and Kylo Ren, the film’s remarkable digital artistry and the Star Wars: Force for Change global aid initiative.